When I was growing up in my city, no one had a good bike. A Peugeot Triathlon? You’re kidding. None of the kids I knew rode anything decent, none of the adults I knew had a half decent bike, and you never saw anyone whizzing by, like you do now, on high end bikes that professionals could ride. When I was a boy you were lucky if you encountered a bike built with Reynolds tubes. Just owning a 5 speed racing bike with steel rims was something, and you had to be very careful it wouldn’t get nicked. The only people riding something like a Peugeot Trialthlon would have been serious club cyclists or semi-professionals. But how I wanted one of these, poured over the unreachable, infinitely desirable, bike catalogues of Peugeot racers in the mid 1980’s. 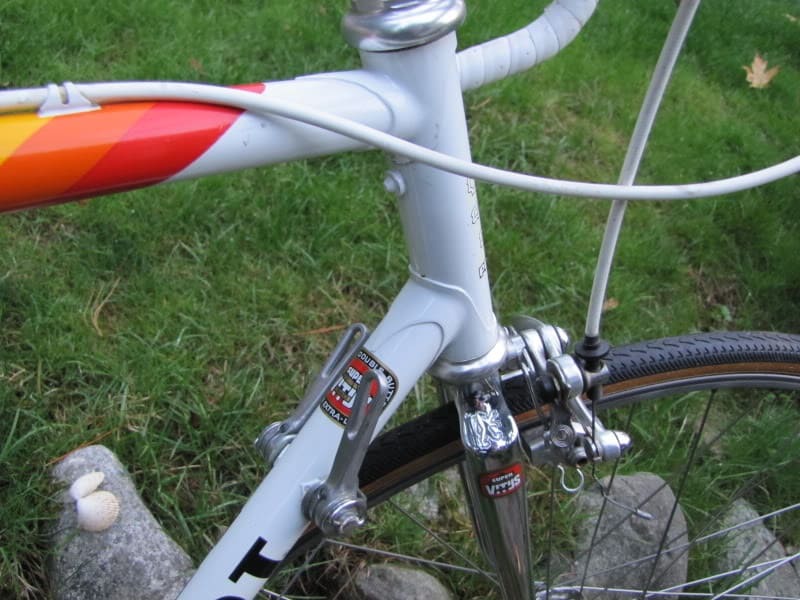 The Peugeot Triathlon came in various specs in the 1980’s, it seems that Peugeot weren’t interested in creating a consistent flagship model for their catalogues of the era. Some were built with Reynolds 501 tubing and mediocre components, and a few Triathlons, like this one from 1987, were built with elan and were quite beautiful. I don’t think you could find one with a better spec than this one I owned in Seattle in 2012. Admittedly, parts of it had been upgraded, but it was all built around its Super Vitus 980 frameset, which meant this 56cm framed bike weighed less than 20lbs. 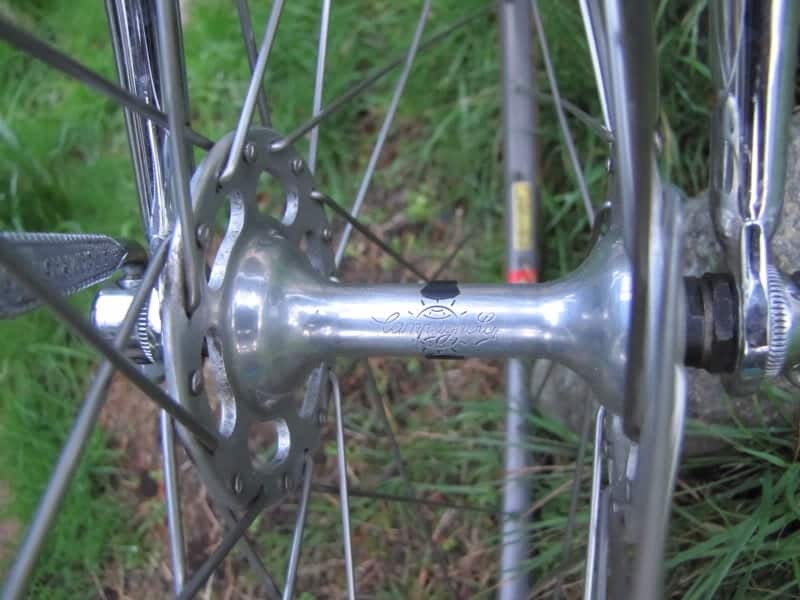 The wheels were top class: Campagnolo Record high flange hubs laced to Mavic GL330 clincher rims. So I had a superb Vitus frame riding on some awesome wheels. Peugeot kept the transmission French, installing a Huret New Success gear set which, though not as prestigious or beautiful as Dura Ace or Campagnolo Chorus, was as reliable and efficient as anything made in Italy or Japan. I liked the Stronglight 80 crankset, and I wouldn’t have exchanged the Philippe bars or Modolo brakes for anything else. The icing on the cake was the discovery, when I got it home, that it had Campagnolo Super Record pedals! It was perfect. I know some bike snobs would see this model as a product of mass production, from a brand that had built its best bikes in the time of the Beatles or early Led Zeppelin. It’s just a Peugeot, right? They would be bankrupt less than a decade later. 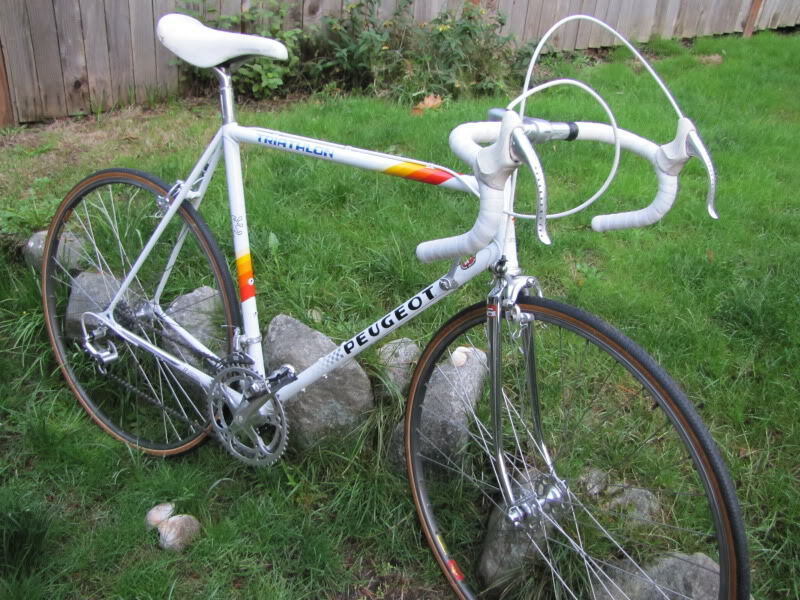 Nevertheless, Peugeot built some stunning bikes in the 1980’s, bikes with that pearlescent white paintwork, with combinations of the loveliest French components of the era, bikes with flair and imagination that continue to be admired and restored. Would I take this out for a ride rather than a Colnago or De Rosa of the same year? I’d say, “oui, monsieur”. I sold it in the autumn of 2012 for just $300. I just bought. Triathlon Super Vitus . I have riden 3 Rensho , from ISHIWATA 22, and 19 on a nishiki made in Japan with family emblems . I have riden Columbus xcr , spirit and nivachrome . ENIGMA CYCLES . Coppi, Merckx , colnago. Tried carbon fiber . And still I would choose a Peugeot Triathlon !!! I am amazed and really taken by the simplicity and ingenieering . It’s like german engineering but elegant . I agree with you about the Peugeot Triathlon with Super Vitus tubing. 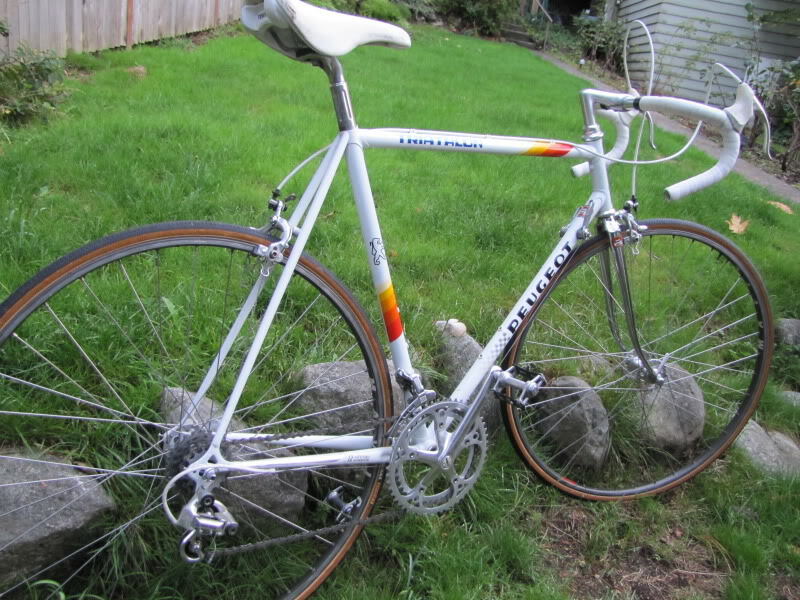 I owned one for a while and loved it, even more than the Colnago I also had at the time. 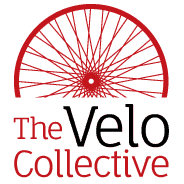 It was just a well balanced, good looking bike that rode better than many higher spec bikes.